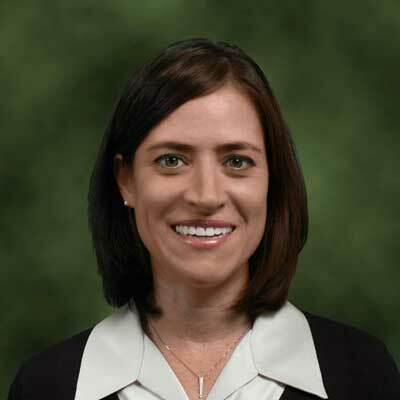 Coletta Vigh is the Director of Global Channel Programs at WatchGuard Technologies, Inc., a leading provider of innovative network security solutions and a Visionary in the Gartner Magic Quadrant for Unified Threat Management. She is responsible for all aspects of the WatchGuardONE Partner Program. Coletta's channel leadership role at WatchGuard centers on advancing business partner enablement to realize the full value of partnership. She educates channel partners and internal sales teams, and leads channel messaging, global program enforcement, infrastructure alignment and benefits realization. In previous roles at WatchGuard, Coletta led a Japanese technical support/sales engineer group, and developed and grew the company's channel business in the Japanese market. Her prior channel strategy roles involved transitioning Management Information Tools (MITS), a Seattle-based business intelligence tools company, to a channel-based organization. Following that, she drove co-marketing initiatives with key game publishers for Xbox at Microsoft. Coletta has a bachelor's degree in Japanese Language and Literature with an MBA in International Business with a focus on Strategic Marketing. An avid fitness enthusiast, she is also active with the local food bank and YouthCare, and supports the Boys and Girls Club of King County. WatchGuard is 100 percent dedicated to partner satisfaction and growth. In 2017, I focused primarily on initiatives to ensure that WatchGuard has the market readiness resources and back-end systems in place to best support our channel partners. Over the past year, I led the rollout of WatchGuard's new renewals system, which provides partners with additional flexibility and visibility and proactively addresses upcoming customer renewals. This was a particularly exciting project because the renewals system represents a significant portion of partner revenue, and is directly related to the ongoing growth of the company. Some recent partner portal initiatives that I've led and am particularly proud of include: our new Marketing Funds Manager, which increases partner visibility and control of accrued marketing funds. Additionally, our MSSP Command Center is a new feature designed specifically to assist Managed Security Service Providers in managing customer monthly licensing. I have also spent a significant amount of time over the past year helping our Territory Account Management Team assist WatchGuardONE channel partners in closing customer business. Small and midsize businesses rely on their trusted service providers to help protect them against advanced cybersecurity threats. Additionally, channel partners are increasingly adding managed security service to their offerings, transitioning to become true Managed Security Service Providers. WatchGuard's 2018 strategy is geared towards supporting these partners and enabling them to deliver enterprise-grade security to their customers. The WatchGuardONE partner program will continue to focus on security-as-a-service, enhanced education and training tools, simplified management, intelligent protection and actionable visibility, and a strong Technology Ecosystem. All these elements help partners build their businesses, which goes hand-in-hand with WatchGuard's growth and success. Since 1960, Jane Goodall has driven conservation and animal welfare activism through her work with chimpanzees. While many recognize her influence on conservation, I also admire Jane for the light she sheds on what it truly means to embrace social and environmental responsibility; demonstrating how one person can indeed make a world of difference. Her work inspires compassion, highlights the value of diversity, and demonstrates the importance of having the courage to stand up for those who have no voice. She has the curiosity and bravery to follow her passion - which people lose sometimes, but should never abandon! Be bold, curious and courageous. Worry less about what people think and do things that make you happy. Invite debate, keep an open mind, learn and grow. Get involved with a cause, learn compassion and give back. As for adding experience at a younger age so that I would be more proficient today, I would seek out more speaking engagements. With years of practice, I would likely feel more relaxed on stage. I would also encourage my younger self to learn to play the acoustic guitar or harmonica. Both are fun skills that give people texture. The ability to speak Spanish fluently. This would enable me to most effectively communicate with our rapidly growing partner communities in both Latin America and Spain, and allow me to ramp up quickly in other Latin languages. The ability to communicate with expertise in Spanish would enable me to establish more relationships (personally and professionally) and provide additional value in those markets. The Culture Code, by Clotaire Rapaille: In this wonderfully diverse world, I am constantly reminded - both in personal and professional circumstances - to appreciate different perspectives and consider what motivates people. This book provides numerous, intriguing examples of how "hidden queues" and culture influence perceptions and the resulting actions people choose to take. It offered a window into different aspects of culture in ways I had not previously considered - both in America and in other areas of the world. It was both a window into the thoughts and actions of others and a mirror into my own perceptions.